IMN spokesman, Ibrahim Musa, in a statement on Thursday said Force Spokesman, DCP Jimoh Moshood, in his statement on security operativesâ€™ recent face-off with Shiâ€™ites, made every effort to demonize the movement. â€œThis justifies why there is no single Shia group that is in any way linked to terrorism across the world and we are not an exception. Terrorism is not in our character and will never beâ€, he said. â€œYou may recall a statement issued by the movement on the 29th of October 2018, we made it categorically clear that there is a plot use the Arbaeen to intimidate and implicate the movement. 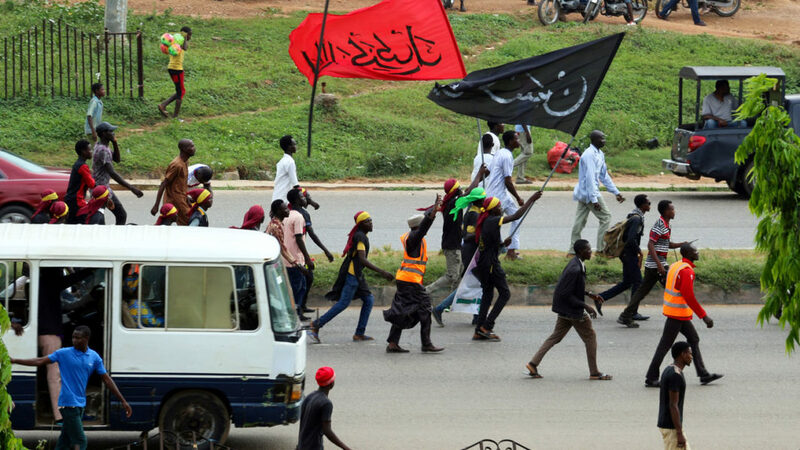 â€œIt has come to our notice that Nigerian security apparatus has commissioned its men and paid agents to massively infiltrate the Arbaeen procession scheduled to hold in Abuja in the coming days to induce violence with the view to smearing the movement in the eyes of the world once and for allâ€ the statement declared. â€œThe Islamic Movement in Nigeria hereby dissociates itself from the deliberate mischief and narration of impounding petrol bombs and burning police vehicle. This is the plot of the security agents and those instructing them from behind the scene in order to blackmail the movement. â€œWe wish to remind the Nigeria Police that we as Nigerians have the constitutional right to practice our religion or belief, assemble, express ourselves and protest as enshrined in Article 38 of The Constitution of the Federal Republic of Nigeria on Freedom of Religion and cannot, therefore, be denied with the scare of mischievously placing the movement on RED ALERT. The command said the membersâ€™ plot was to attack innocent citizens, including law enforcement agents deployed to protect lives and property.